Like so many others in the local community, Mamma was heartbroken when the well loved Eltham Adventure Playground was destroyed by fire in late 2017. However, like what will often happen in the aftermath of a tragedy, the community rallies together and gets it done. Like a phoenix rising from the ashes, the NEW Etham North Adventure Playground is here! The locals really wanted to replicate the design of the original playspace, and that request has been met. The main structure - Mamma wants to call it the shed - is fantastic. Although sightly larger than before, it continues to be an undercover, wooden gem. There are stacks of staircases, climbing challenges and walkways for the kiddos to run wild. Although it is brand spanking new, Mamma loves that it feels so familiar. It even includes the tractor! The features continue to delight beyond the shed. 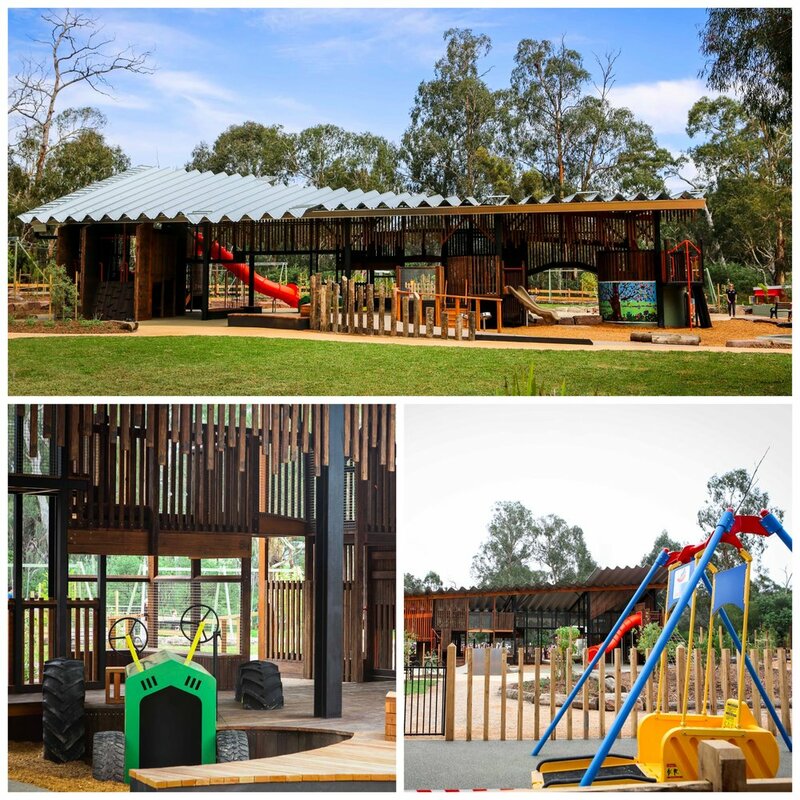 There is a double flying fox, sandpit, spinners, swings, dry creek bed and a water play trough. The other delightful feature is the collection of cubbies. 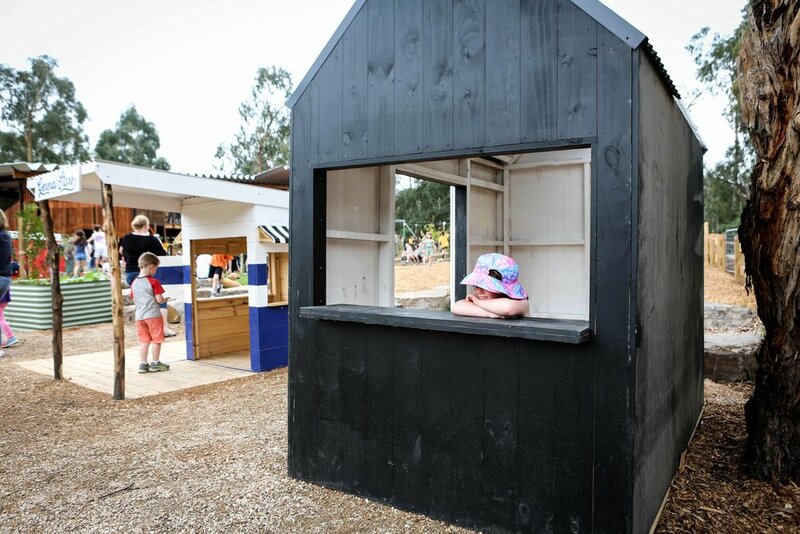 These bright and beautiful playspaces of their own make their own little neighbourhood, with a general store post office and even an ice-cream shop. The rest is up to the kids. Hundreds of locals were chomping at the bit to get into this playground when it opened on December 19, 2018. It will certainly be getting a work out these school holidays! Mamma's special mention: Did I mention that Edendale Farm is in walking distance. Definitely a back to back adventure!